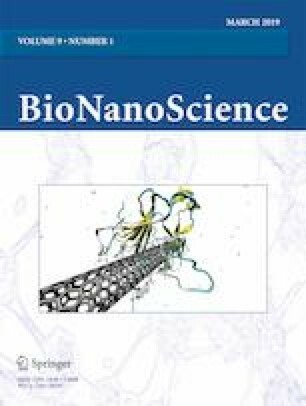 The rational design of biomineralization peptides for the synthesis of inorganic nanomaterials remains a challenging endeavor in biomimetics. The difficulty arises from the multiple factors that influence the affinity of the peptide towards a particular surface. This study presents classification and regression models of biomineralization peptide binding affinity for a gold surface using support vector machine. It was found that the Kidera factors, in particular those related to the extended structure preference, partial specific volume, flat extended preference, and pK-C of the peptide, are important descriptors to predict biomineralization peptide binding affinity. The classification model exhibited an overall prediction accuracy of 90% and 83% for the regression model. This highlights the reliability and accuracy of the formulated models, while requiring a reasonable number of descriptors. The created predictive models are steps in the right direction towards the further development of rational biomineralization peptide design. The online version of this article ( https://doi.org/10.1007/s12668-018-0578-4) contains supplementary material, which is available to authorized users. This study was made possible through Data Science Track of the Department of Science and Technology–Innovation Council (DOST-PCIEERD). Coppage, R., Slocik, J. M., Briggs, B. D., Frenkel, A. I., Naik, R. R., & Knecht, M. R. (2012). Determining peptide sequence effects that control the size, structure, and function of nanoparticles. ACS Nano. https://doi.org/10.1021/nn204600d. Sakaguchi, T., Janairo, J. I. B., Lussier-Price, M., Wada, J., Omichinski, J. G., & Sakaguchi, K. (2017). Oligomerization enhances the binding affinity of a silver biomineralization peptide and catalyzes nanostructure formation. Scientific Reports. https://doi.org/10.1038/s41598-017-01442-8. Kidera, A., Konish, Y., Oka, M., Ooi, T., & Scheraga, H. A. (1985). Statistical analysis of the physical properties of the 20 naturally occurring amino acids. Journal of Protein Chemistry, 4. https://doi.org/10.1007/BF01025492.